Paul Franklin Watson is a Canadian marine wildlife conservation and environmental activist, who founded the Sea Shepherd Conservation Society, an anti-poaching and direct action group focused on marine conservation and marine conservation activism. 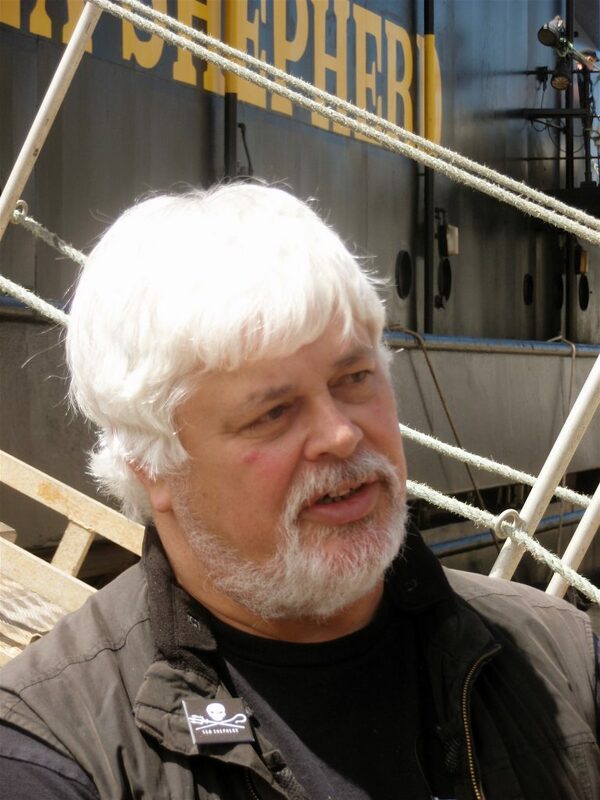 Sea Shepherd Conservation Society leader Paul Watson has had frequent run-ins with police. In 1980, Watson was sentenced to 10 days in prison and fined $8,000 for his actions during a Canadian seal hunt protest. Watson was arrested in 1993 in Canada on charges stemming from actions against Cuban and Spanish fishing boats off the coast of Newfoundland. In 1997, Norway convicted Watson in absentia and sentenced him to serve 120 days in jail on charges of attempting to sink a Norwegian fishing and whaling vessel. Ultimately, he spent 80 days in detention in the Netherlands pending a ruling on his extradition before being released. In 2002, Watson was charged with attempted murder and nearly imprisoned in Costa Rica. He fled the country as the authorities were trying to apprehend him. In 2012 Watson was declared an internationally wanted fugitive on the international police cooperation organization Interpol’s Red List. In May 2012, he was arrested in Germany on an extradition warrant from Costa Rica related to the 2002 attempted murder charges. Watson then skipped bail claiming that had he been extradited to Costa Rica he would have then been sent to Japan on charges related to obstructing their whaling activities. Consequently, Interpol issued a second Red Notice request for his arrest. After fleeing Germany, France granted Watson political asylum, shielding him from extradition. In June 2016, Watson was given his Canadian passport back and subsequently entered the United States.